*This post is sponsored by the PRIMP Network but all opinions are my own. 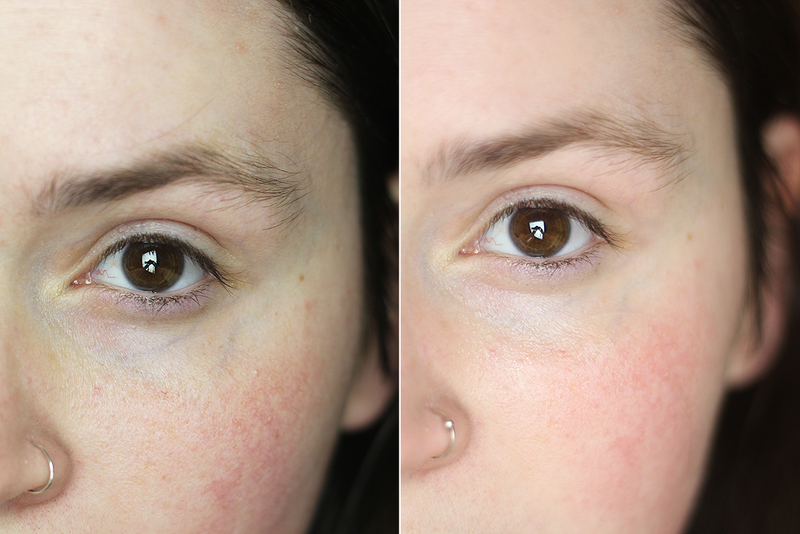 I've said this a few times before on the blog but I wholeheartedly believe that the key to amazing makeup is fabulous, healthy skin underneath. Take care of your skin and it'll take care of you. I've often wondered though, how many people are trying to fix their skin, only to have the underlying issue be something you need to fix from the inside? BeBe & Bella is a women-owned business founded in 2013 that believes you can do just that and "what you put in your body matters as much as what you put on it". 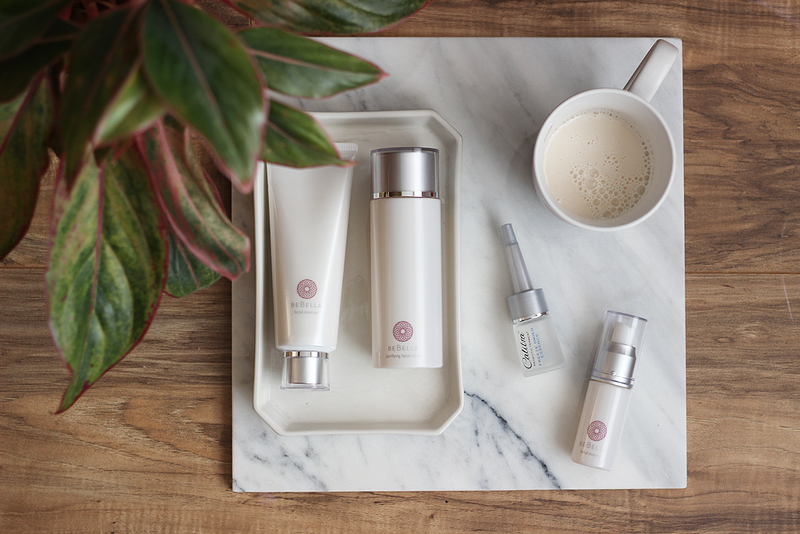 They are the first company to use both probiotic supplements and skincare products in tandem with each other to create a unique skincare regime that helps correct your skincare issues from the inside out. So what is a probiotic, you ask? Probiotics are the "good" bacteria that help balance the digestive system. According to recent research, a diet of junk food (hey, we've all been there!) or even stress can cause an unbalance in the gut and has been linked to causing eczema or acne. Pretty interesting stuff, right? BeBe & Bella's probiotics are unique in that they have patented anti-aging ingredients: a probiotic plus Yeast Propagate Technology. According to their site, the yeast complex encourages a faster cell turnover which in turn promotes better skin. Facial Cleanser ($65) - I love starting the morning off with a fresh face! The BeBella probiotic Facial Cleaner is soft and lightweight but still gets to work with removing any dirt, left over product, etc. from the day before. Purifying Facial Toner ($52) - Next, I go in with the Purifying Facial Toner. This toner basically removes anything that was leftover from the cleanser. Freeze Dried Probiotic Essence ($70) - This freeze dried essence is by far the coolest thing ever! It comes in two separate bottles that you have to mix together to activate with a Calibra catalyst containing hyaluronic acid. Unfortunately, once it's activated, you have seven days to use it. Facial Essence ($70) - A good moisturizer is key before makeup application but there's nothing worse than a super thick moisturizer under it. I feel like my makeup just slides around when the moisturizer is thick and just sits on top of the skin. Yuck! This facial essence is exactly that - an essence, as it is water-based and contains hyaluronic acid and fermented filtrates to increase the "skin's natural flora defenses". Facial Essence Stick ($65) - Talk about big things coming in small packages! I have this little baby tucked in my bag right now for when I need a little hydration on the go. It's basically the same thing as the facial essence but with a little packed punch as it contains extra lifting lipid polymers. This is great for those moments when you haven't checked the mirror before you head out, catch your reflection in the rearview mirror of your car and realize those bags under your eyes are lookin' a little heavy. It de-puffs them pretty quickly! Facial Cleanser ($65) - At the end of the night, it's key to remove the day off your face! Not only can leftover makeup irritate your skin but can also cause pimples, infections, etc. - not fun! If you don't wear makeup, you should still use a cleanser to remove any dirt or irritants from throughout the day. This one is incredibly lightweight and leaves my face feeling clean. Purifying Facial Toner ($52) - Just like in my morning routine, I like to use a toner to follow up and remove anything left behind from the cleanser. I also think a toner helps tighten your pores and I always feel refreshed after using it. Freeze Dried Probiotic Essence ($70) - Because this essence has a seven day lifespan and there's no way, with how little I use for my entire face, I could use it all up before it expires, I added this into my nightly routine for extra moisture. Your girl can always use it! This feels so incredibly nice on my skin and I wish I could have a huge stockpile in my room to use this every single week. Eye Cream ($55) - Would you guys believe I don't normally use an eye cream? Crazy, right? Things have changed because I'm all about the eye cream life now. This eye cream contains a powerful duo of Vitamin E and fermented filtrates to improve and hydrate the delicate skin under your eye. Hydrating Night Cream ($120) - I wish I could explain just how luxurious this night cream is, guys. It's holy grail status. This night cream is so incredibly decadent and really locks in the moisture. Unlike most night creams, this one doesn't leave that nasty, greasy film behind and instead soaks in and leaves your skin feeling soft and supple. I'm a huge fan of this! 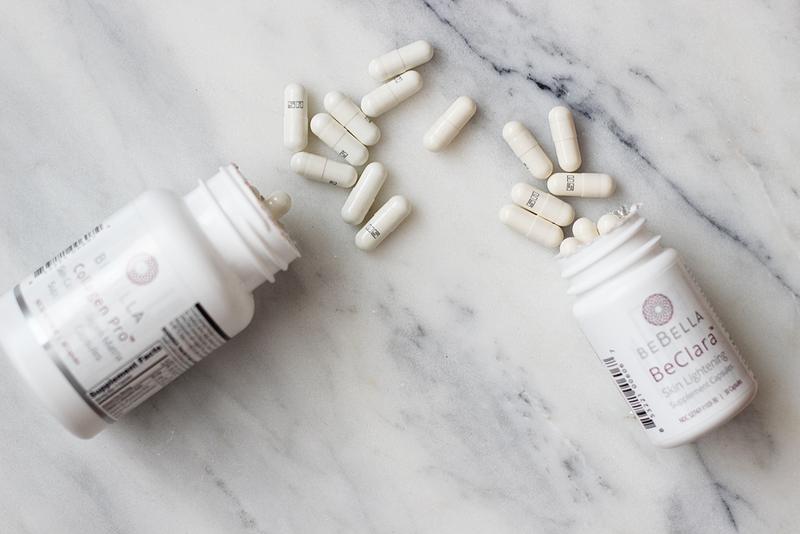 BeBella BeClara Skin Lightening Supplements ($27) - These probiotics you can take twice a day. I usually do one in the morning and one at night. What this probiotic does is brighten and perfect your skin with a combo of Vitamin C, Lactobacillus, Glutathione-reduced, NAC, ALA and collagen. I've been using these for a little over a week and while I haven't noticed a super dramatic "hey, your skin is all cleared up and perfect" result, I have noticed that pimples that at one time would park themselves on my face for weeks at a time now seem to vacate the premises within a few days. BeBella Collagen Pro Supplements ($31.95) - These probiotics you can take up to three times a day. They're packed with hydrolyzed fish collagen peptide, hyaluronic acid, probiotic Lactobacillus casei, Biotin and other skin-enhancing vitamins. Again, I'm only a little over a week in but I've noticed my nails seem slightly stronger. I also noticed that my post-partum hair loss (which has been the WORST!) has slowed down and I'm not losing as much. Excuse the slight color difference but let's talk about the smoothness in the under eye area! The before picture on the left is my nakey face and the picture on the right is five minutes after the Facial Essence Stick has been applied. Yes, yes, yes! Not only does it look hydrated but it feels so hydrated and silky smooth. Let me know your thoughts on a probiotic/skincare product routine in the comments. Do you think taking care of your skin from the inside out would work for you? *Use the code: PRIMP20 for 20% off your order! I have heard a lot about this but neve used them Currently, I am using the revitol acnezine cream which is really suitable for my skin. Sonner I would like to try this duo product. Great post and beautiful pics! Aren't these products just amazing?! I am so impressed with everything, especially the Probiotics... I feel like I'm just doing something really good for my skin when I take those.